AUSTIN — The second big week of the Sixth Annual Texas Community Music Festival kicks off at 10:15 Saturday morning at Central Market North with the Hill Country Clarinet Trio of Marble Falls — the first of what promises to be yet another day of great performances on the Patio. 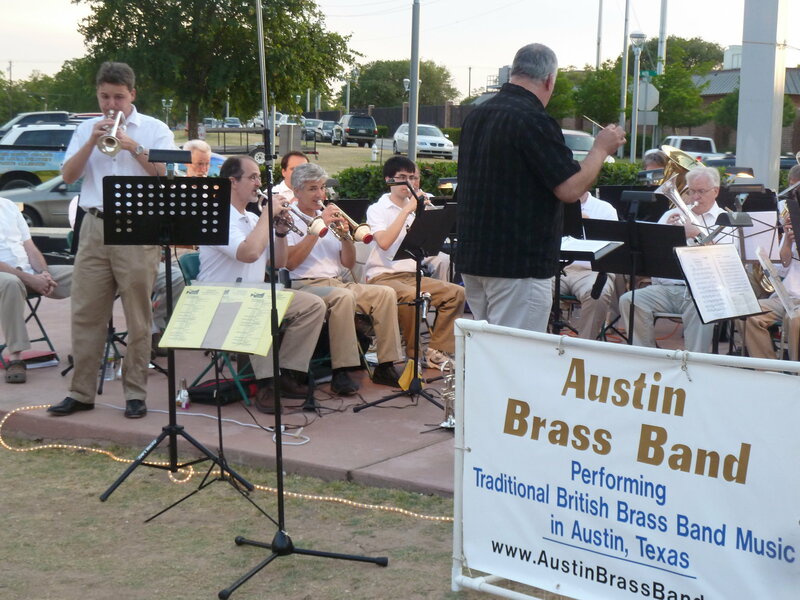 Wednesday, TCMF made its inaugural appearance at the Farmer’s Market at the Park at the Triangle, with performances by the New Austin Polka Band (yes, there was MORE Chicken Dancing!) 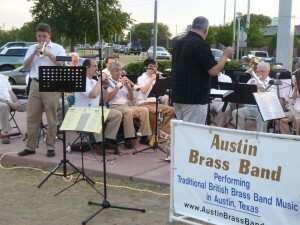 and the Austin Brass Band. Check the Schedule page for our second week of music and make plans to join us. It’s going to be the swingingest week of music yet!